It's all about the Sexton I and the Excelsior premium tanks this week. As part of the British tech tree, they've come to be known as trusty and consistent combatants, able to turn into monsters in the hands of an expert. The question is: are you one of them? If you can complete the objectives laid out for each of the two contests, you might stand a chance to win a bounty of gold! Don't have either vehicles in your garage? No problem; just complete this week's specials missions to redeem time-limited versions of the Sexton I or Excelsior and you're all set to participate. Limited to the Sexton I tank (premium or TLV) and Random Battles. 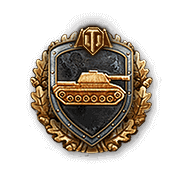 Players can get the TLV Sexton I tank by obtaining 5 UK Tech Tree tokens for the UK Tech Tree Focus mission. 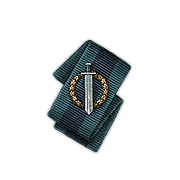 Win the battle and obtain a Fighter achievement OR a Top Gun medal. Destroy 4 – 5 enemy vehicles in the course of the battle. Available in Random Battles only. Destroy more enemy vehicles (at least 6) than any other player. If two or more players have destroyed an equal number of vehicles, the achievement is awarded to the player who earned more XP for the battle. 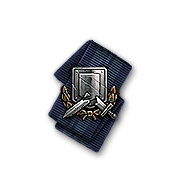 The achievement is awarded only once per battle. Can be obtained in random battles only. Submit a screenshot of your Personal Score tab of the in-game Battle Results showing that these conditions were completed. Edited entries/comments will NOT be accepted. Duplicate entries will be disqualified. Deadline of entry submission is on 12 June 2015 at 15:00 (UTC+8). First 3 valid entries that have the Top Gun achievement. Additional requirement: Replay of the battle uploaded to WoTReplays.com or any other download page. Randomly drawn from qualified entries. Winners will be announced within 1 week after entry submission ends. Prizes will be awarded within 2 weeks after the results are announced. Limited to the Excelsior tank (premium or TLV) and Random Battles. Players can get the TLV Excelsior I tank by obtaining 10 UK Tech Tree tokens for the UK Tech Tree Focus mission. Win the battle and obtain a Shellproof achievement. Have the total amount of damage blocked by armour exceed the total amount of hit points of your vehicle and survive the battle. Available in Random Battles only. Obtain the Steel Wall achievement from the same battle. Receive more potential damage than any player on your team, at least 1,000 HP, and survive. Receive at least 11 hits. If two or more players receive an equal amount of potential damage, the achievement is granted to to the player who received the greatest amount of hits. If two or more players receive an equal amount of potential damage and equal number of hits, the achievement is granted to the player who earned more XP for the battle, including additional XP provided to premium account users. Submit also the replay of the battle uploaded to WoTReplays.com or any other download page. For those using other download pages and those whose WoTReplays.com replay page look like this (missing Detailed Report tab), include a screenshot of the Detailed Report tab of the Battle Results in your submission. Awarded to the top 3 players with the highest potential damage received.